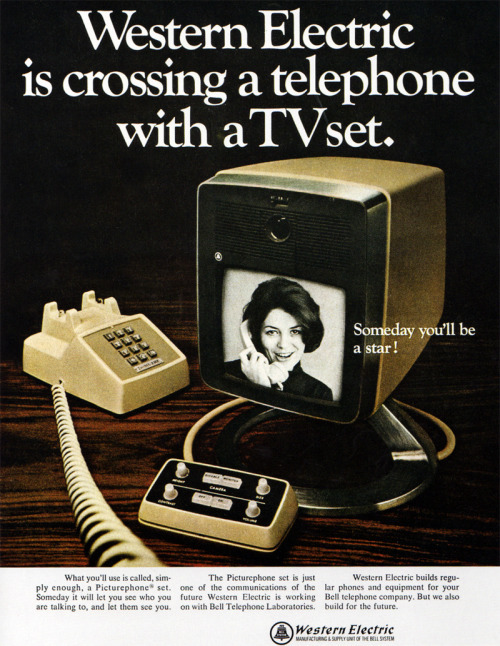 An magazine ad from 1968: Western Electric is crossing a telephone with a TV set. Some years ago I was attending a meeting of the committee that ran one of the local science fiction conventions. I had just joined the staff, and it was my first full meeting. One of the topics debated that day was a proposal that the committee obtain an email address that several committee members could check, because people kept asking why they didn’t have an email address. The only means that were available to the public (and thus people who might want to attend the convention) for contacting the organization was to either mail a physical letter to the club’s post office box, or to leave a voice mail message via a phone number that didn’t actually ring a phone. A system that was troublesome because if you didn’t check the voice mail box often enough, it would fill up with messages and no one could leave a new message. And this was a bunch of sci fi nerds. Admittedly, it was sci fi nerds in the 1980s. Personal computers were still complicated gadgets that cost more than a car (the first IBM PC/XT had 128kilobytes of RAM and cost $5000, that’s the equivalent of $12,000 in 2017) and often had parts you had to solder together yourself. But my point is that even people who think they are forward thinking and tech savvy often have big blind spots about technology. Such as the current dismay I keep seeing expressed online because so many politicians on both sides of the aisle have been talking about rural broadband. “Is this really a pressing need?” As a matter of fact, yes. It is nearly impossible in the modern era to apply for a job if you don’t have access not just to email, but a robust enough internet connection to fill out the often very-poorly scripted online applications. When my husband and I were recently looking for a new place to live, not only were the only reliable places to find available properties online, but often the only way to inquire about a property was to fill out a web form. Even after that point, we had to each fill out applications for background checks via a different website and system than we’d used to contact the property manager. The primary means to access services such as unemployment insurance, disability benefits, and so forth, is over the web. And that means needing more than a basic internet connection, you have to have a decent amount of bandwidth, or things time out. When new medical equipment is handed out, they doctor’s offices don’t have the time to show you how to use it, they give you a web address to access videos online. That’s how I learned to properly inject myself with insulin (including how to troubleshoot the injection pin and so on): they sent me to a webpage to watch the videos and read the warnings and disclaimers myself. Internet access, particularly high speed/high bandwidth access, is no longer a luxury. Society, both businesses and institutions, have embraced the new technologies. Just as phones ceased being a luxury decades ago, then cellphones ceased being a luxury about a decade ago, and now smart phones have also crossed that line. For a number of people, particularly poor people, their smartphone is their only reliable way of accessing the services they need to get and keep their jobs, to take care of their kids’ needs, and so on. And there are the people who don’t understand how mass production and the commodification of products makes things that once were terribly expensive available for a fraction of the cost. This comes up a lot in relation to iPhones, in particular. In certain circles it is popular to hold up the ownership of an iPhone by someone who is struggling financially as proof that the person is only struggling because of bad priorities. This doesn’t take into account the many, many ways that someone can obtain slightly older versions of currently expensive gadgets extremely cheaply. 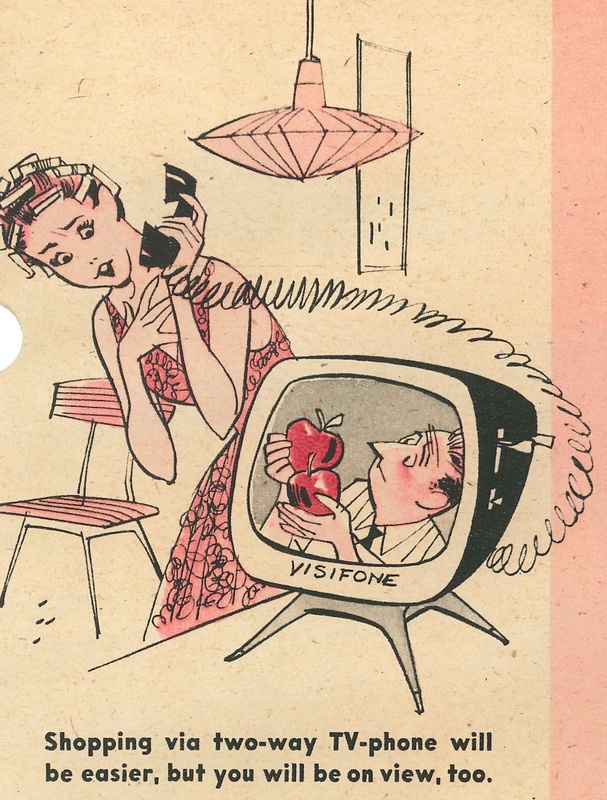 We’ve already established that have a phone, specifically a mobile phone, has become a necessity in our modern society. Getting a refurbished unit of some previous year’s model or a non-refurbished unit of a model from a couple of years ago for free or close to it as part of a cell phone contract is quite common. And then there are various sales and special offers one can find. That doesn’t even get into the hand-me-down process. Lots of people, when they upgrade a device such as a phone or tablet or laptop, rather than try to sell it somewhere, wipe their data and give the device to a friend or relative who can’t afford a new device themselves. Luxuries aren’t what some people think they are. Sadly, the people least likely to understand this also don’t realize that being able to look with condescension on others for having or wanting nice things is a form of luxury on its own.